A few years ago we were at friends Marty and Emma Ewer’s house. Marty has a great cellar, and came up with a bottle of Chardonnay. “I hear you have developed quite an interest in White Burgundy, try this” he says, not telling me what it was. I thought at the time it was one of the best Chardonnays I had tried. Turned out to be the 1999 Leeuwin Estate Art Series. Out of 18,000 new releases looked at in blind tastings for the this year’s ‘Wine Spectator’s Top 100′, the 2011 Leewin Estate Art Series, score the number 5 spot, the only white in the top ten. The top ten are chosen in a double-blind tasting by the senior editors. 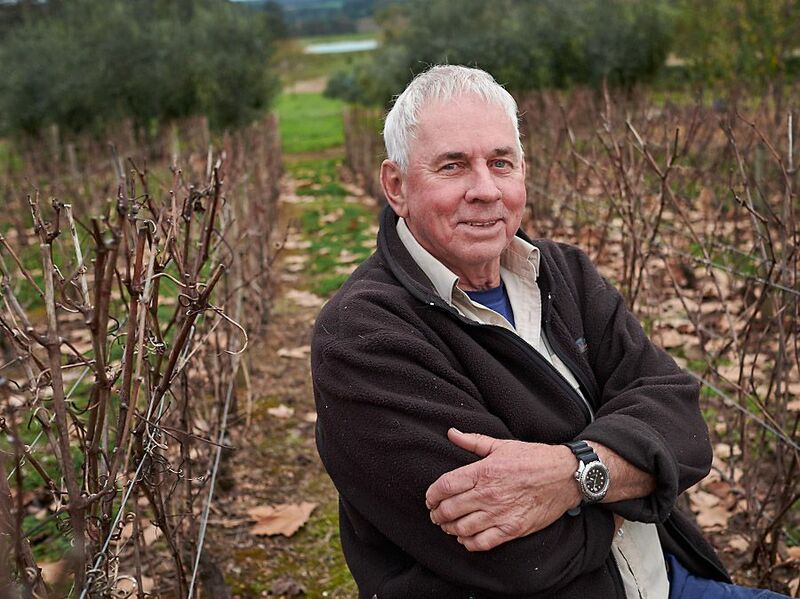 I caught up with Denis Horgan, Leeuwin Estate’s founder on a recent trip to the Margaret River. Here’s his story. I am the Founder and Chairman of Leeuwin Estate, my wife Tricia is in partnership with me and served as Managing director of the operation. 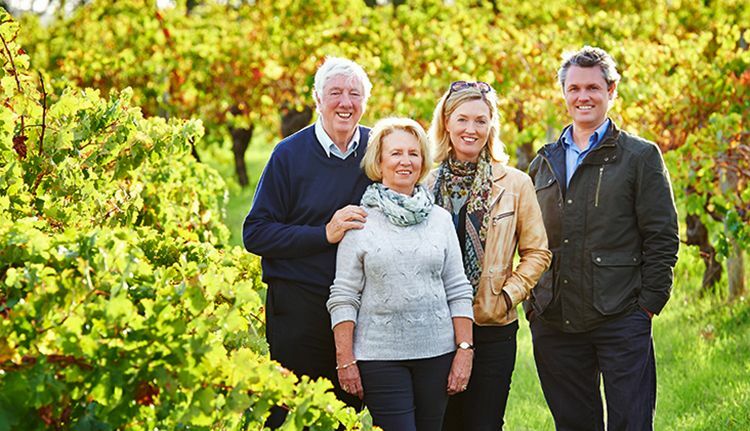 The second generation of the family has now become involved, with us continuing very much as a family business, with our two eldest children, Simone and Justin now running Leeuwin Estate as Joint CEO’s. Denis his wife Tricia and their two oldest children Simone and Justin : Photo supplied. What was your early life like and how did you get to own a property in Margaret River? I am the eldest of four boys, my father died when I was 15, so I left school to work and studied at night to become a Chartered Accountant. After graduating I developed an Accounting practice in Western Australia and eventually branched out into take overs and mergers. The previous owner of a company I acquired, contacted me to say that his next door neighbour had cancer and wanted to sell up his business, then Western Australia’s largest high rise plumber. Initially I wasn’t interested, however, when I learnt that it also comprised a farm in Margaret River, near one of Australia’s finest surfing beaches, we went down to have a look at the property. Leeuwin Estate vineyards : Photo supplied. My wife fell in love with the place, we bought the plumbing business and as a result, the farmland, that we eventually transformed into Leeuwin Estate – that was 1969 and the start of a wonderful journey. At that stage I didn’t really have much of an interest in wine. How did the interest in wine happen? I started in the wine business by sheer accident. In 1972 my good friend and company solicitor phoned to say he had two Americans enquiring if our farmland was for sale. Whilst advising that I wasn’t interested in selling, I was curious in relation to what their interest in our property was, so invited them for a drink after work. 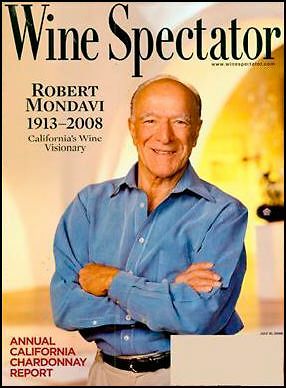 Robert Mondavi : Photo supplied. It turned out that one of the Americans was Robert Mondavi from the Napa Valley, who had been travelling in search of the next great new world land to produce premium wine. We finished up having dinner at home with Trish and the kids that developed into a long and lasting friendship. Mondavi had looked at a number of properties in the area and decided ours was an ideal site for producing fine wine. 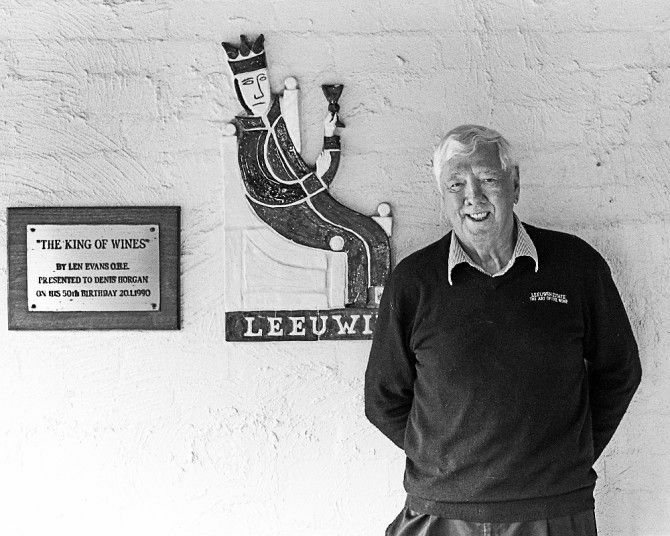 Despite us not wishing to sell, Robert, with his enthusiasm for the quality of wines he believed we could make, became our mentor in establishing Leeuwin Estate. He was a hell of a nice guy, extraordinarily passionate and committed to excellence and used to come out for two or three weeks at a time in our early years. We could not have had a better mentor. Robert would often say all he wanted us to do was to produce wines to rank with the best in the world. He selected the clones and told us what to plant and where. I went over to the USA and had a look at the Mondavi operation and was very impressed with how they ran things. How did you start Leeuwin Estate ? I guess ours was an unusual way to get into the wine business! Buying a high-rise plumbing business with a beautiful piece of Margaret River land as part of the deal. 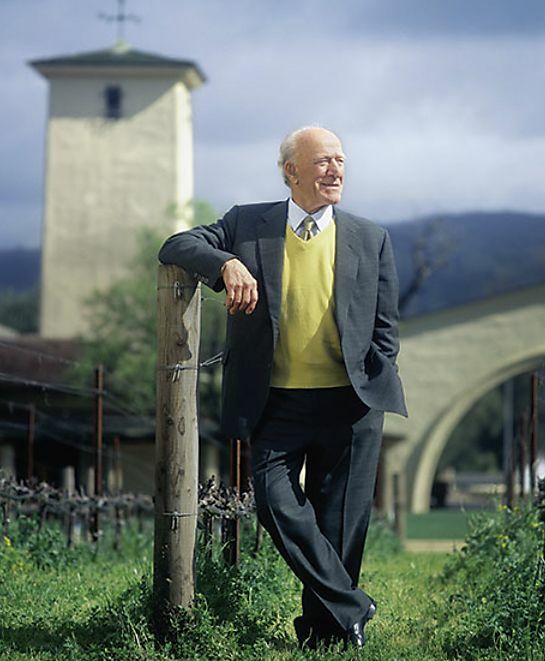 Robert Mondavi : 1913 – 2008. Wine Spectator cover. Knowing nothing about wine, selling the plumbing business for more than we paid for the lot and starting Leeuwin Estate with the help of legendary Napa Valley winemaker, Robert Mondavi as our mentor. Robert came out on an annual basis giving us advice. He helped us appoint the first winemaker. 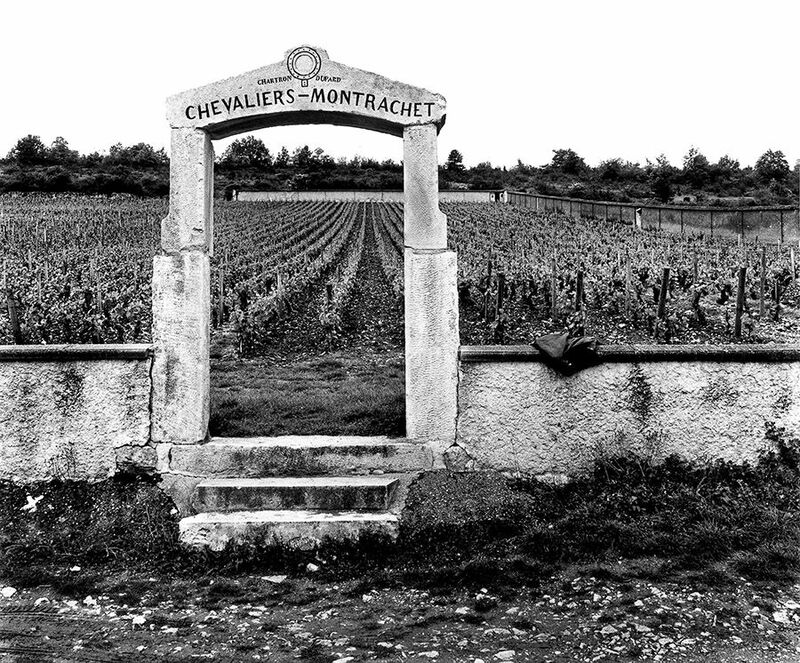 43 years later, we have only ever had two Senior Winemakers. When we were thinking of a winemaker, Mondavi said “go and find someone who has not made a name for themselves anywhere else, you don’t want big Aussie style in wines that win trophies at wine shows, you want something different”. Robert felt from day one that our property could produce world-class wine and we should benchmark ourselves against the world’s finest. Local and International industry recognition. We don’t enter wine shows, which was always a bone of contention with our good friend Len Evans. We have simply stayed true to Mondavi’s advice to benchmark ourselves against the world’s best and not make show wines the benchmark. Wine Spectator top 100 listing. Our wines however have always achieved great accolades in international publications. Decanter Magazine discovered our second vintage of Art Series Chardonnay, giving it their highest recommendation and the accolades continued. Last year our 2011 Art Series Chardonnay was number one white wine and number 5 in the Wine Spectator, ‘ Worlds Top 100 Wines of the Year’ and James Halliday’s Chardonnay of the Year. Our Art Series Cabernet Sauvignon was in Decanter magazine’s World Top 50 Wines of the year and US Wine & Spirits top 100 wines. Both the Cabernet and Chardonnay are included in the prestigious Langton’s classification. Robert Mondavi was correct in his conviction that Margaret River could produce wines that get international recognition and Leeuwin wines can now be found in 30 markets. It feels good to know we got it right in the early days and that we continue to hold true to our commitment to excellence. Leeuwin Concert Series: I believe in 1985 when you started, friends tried to talk you and your wife Trish out of the idea. 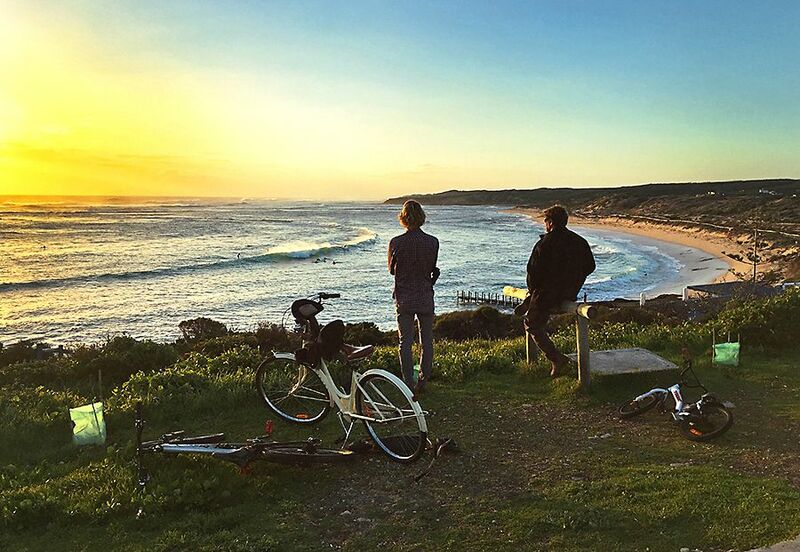 As one of the world’s most isolated wine regions, we wanted to be creative in generating reasons for visitors to come and discover Margaret River and our wines. Our winery overlooks a meadow surrounded by a forest of tall karri trees, creating a beautiful natural amphitheatre. So we wrote to the West Australian Symphony Orchestra, the local Ballet Company and the Opera Company inviting them to consider coming down and doing a concert. The idea of alfresco performances in the bush was extremely novel at the time and we didn’t get much interest from any of them. Leeuwin Concert settings : Photo supplied. The then Director of The Festival of Perth, David Blenkinsopp, approached us about that time, asking if we would under write the visit to Australia of the London Philharmonic Orchestra, something that somewhat shocked us at the time, huge costs, logistics and all of that – no was the answer, unless they would be prepared to perform in our vineyard. He went off to London to organise the tour and said he’d talk to the LPO and let me know. To my surprise he came back and said they’d love to perform at Leeuwin, as long as we underwrote the whole Australian tour. Trish thought I was mad, in fact everybody I know thought I was mad, but I said yes! The stage at night. Leeuwin Concert : Photo supplied. Funnily enough it was a bit like the wine, we didn’t know that much about music and certainly nothing about being concert promoters, however we thought the London Philharmonic Orchestra was a pretty good ‘band’ to start our concerts with! They really might be worth the risk and we needed to generate a profile for our wine business in a creative way. Our wines were successfully launched nationally at functions held of the back of the concerts throughout Australia – it proved to be a highly successful promotion. The impact of that first concert guaranteed the future success of our concerts. Whilst it cost a fortune in our underwriting of the total Australian tour it was a highly successful launch pad to promote Leeuwin Estate to all the right people at home and Eastern Australia. Ray Charles at an early Leeuwin Concert : Photo supplied. That first Leeuwin Concert was so successful that we continued the relationship with the Festival of Perth for another two years, featuring other international orchestras. Then we thought that we needed to do something different and presented Ray Charles. The new format proved to be even more successful so we decided to stick to that format for a while – 32 years later we have presented an eclectic array of the world’s leading musicians at Leeuwin, from Sting to James Taylor, Carole King and Dame Kiri Te Kanawa. The ‘Art Series’ label is quite famous, how did it come about? I had developed an interest in Australian art in the early days. 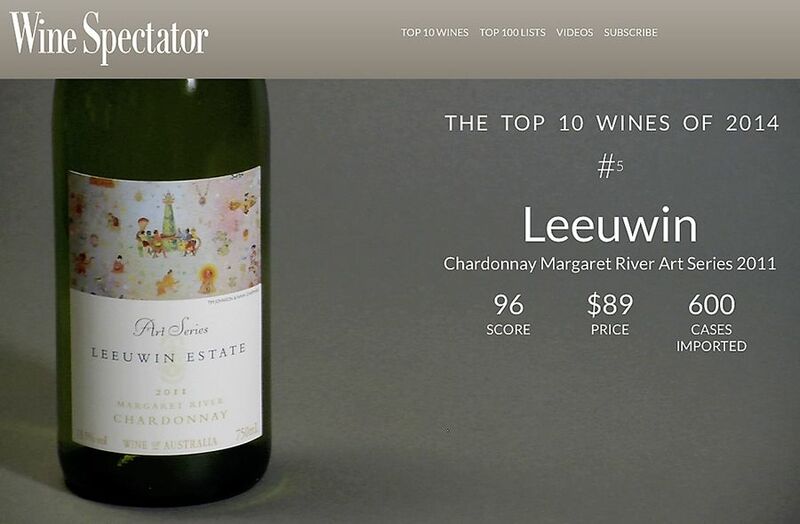 Leeuwin Estate ‘Art Series’ Chardonnay distinctive labels : Photo supplied. During a trip to Europe I was invited to meet Baroness Philippine de Rothschild at the Chateau Mouton-Rothschild wine estate in Bordeaux. The winemaker showed me around the winery and art gallery before having lunch with the Baroness. I was so impressed with the way art had been integrated into the business that I asked Baroness Philippine if she would mind if we used Australian Artwork on our labels. She thought that was a great idea and said, “Go ahead”. 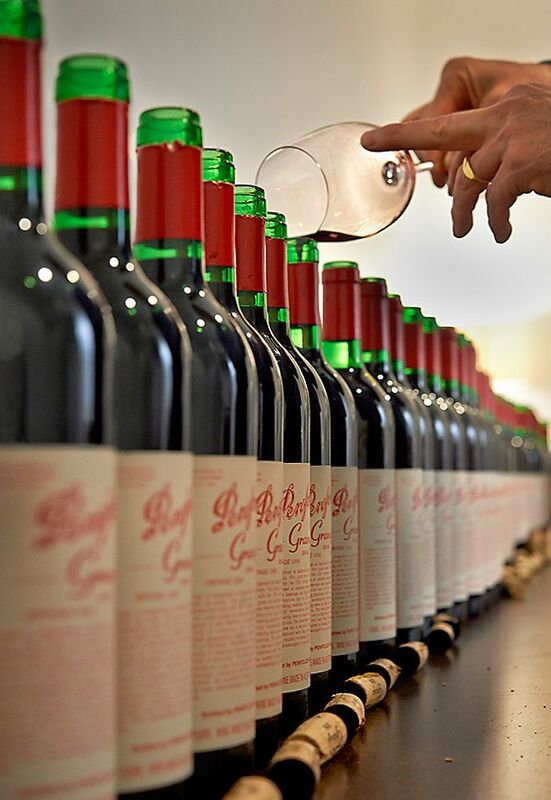 So we created the “Art Series” range in 1980 to define our most opulent and age-worthy wines from each vintage. The first label carried a painting of our region’s famous “Caves Road” by Robert Juniper. We now have over 150 paintings from Australia’s leading contemporary artists in our collection. 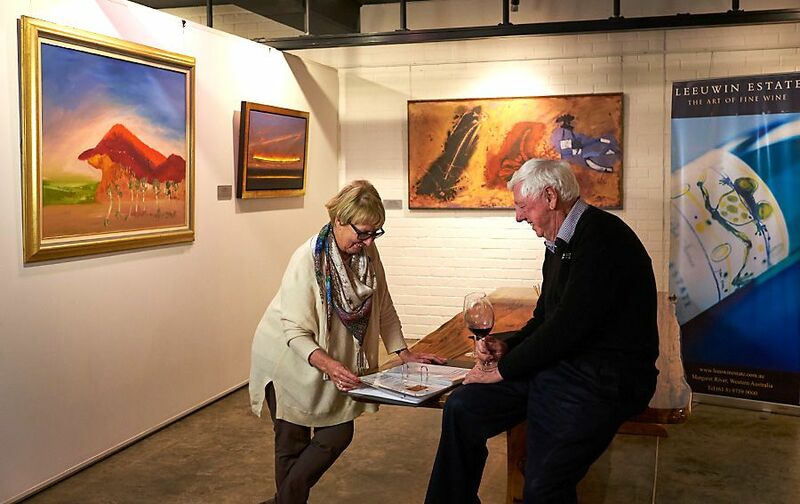 We display the original artworks in the winery art gallery. We occasionally commission pieces, but mostly Trish, who oversees the collection, sources the art. The Melbourne and Sydney Art fairs are very handy. I often joke that the paintings in the gallery are worth more than whole winery! The Doctors of Margaret River. We acquired the property in 1969 but we had no interest in wine at the time. After we met Mondavi in 72 we met the three Medical Doctors of Margaret River who were starting to produce wine, Tom Cullity, Kevin Cullen and Bill Pannell and they certainly strove for excellence. The doctors were fascinating, they used to meet on a quarterly basis, we started going to the meetings and became very good friends. Our kids are involved with us at Leeuwin, as are the Cullen kids in their winery. What’s good for Leeuwin or Cullen is good for the Margaret River district. Down here we like to think if we all work together, everybody is better off. It’s a fantastic cooperative feeling in the whole area. I can’t think of one other industry where that happens in such a positive way. Do you have much say in the wine style? Robert Mondavi set the style early on. 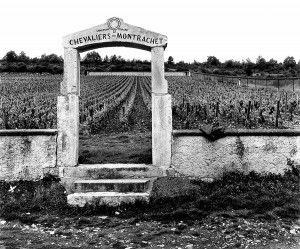 He would come out here with a couple of cases of the best Puligny-Montrachet to show us and our winemaker, telling us that was the quality of wine we were capable of making. They say great wine is made in the vineyard – it is a reflection of our site and protecting the fruit has always been the mantra in our winemaking. As a family we see our role as providing the means for our winemaking team to be uncompromising in the quality of wines they produce. Over the years our wine style has not changed very much but we have grown to understand our vineyards sites better, breaking them down into smaller parcels of fruit, picking each parcel at optimum ripening and selecting oak based on each fruit parcel’s profile. In doing so we have been able to elevate our quality further and refine our style. We probably enjoy more Chardonnay and Cabernet Sauvignon than anything else. In my younger days, up till a few years back, I was a very keen surfer. About 15 years ago I got Ross River Virus. Surfing was difficult after that. I have a real passion for Leeuwin Estate and still try to craft the future, keep reasonably fit, and travel a good deal, mainly on wine business, sometimes with our eldest daughter on her wine trips. Hopefully a long way off! Marron caught by the Grandkids on the property or locally caught Abalone, with a great glass of Art Series Chardonnay of course. Love it, absolutely love it. I fell into a wonderful industry. Robert Mondavi Wines, California : Photo supplied. I fell into it because Mondavi wanted to buy the land; I thank God that we didn’t sell. As I said I have a real passion for Leeuwin Estate, we have seen enormous growth in our part of the world since we acquired the property in 1969, in fact in the last 35 years it has been proclaimed as the fastest population growth district in Australia and that is mainly as a result of the world wide reputation the district has built up for the quality of its wines. 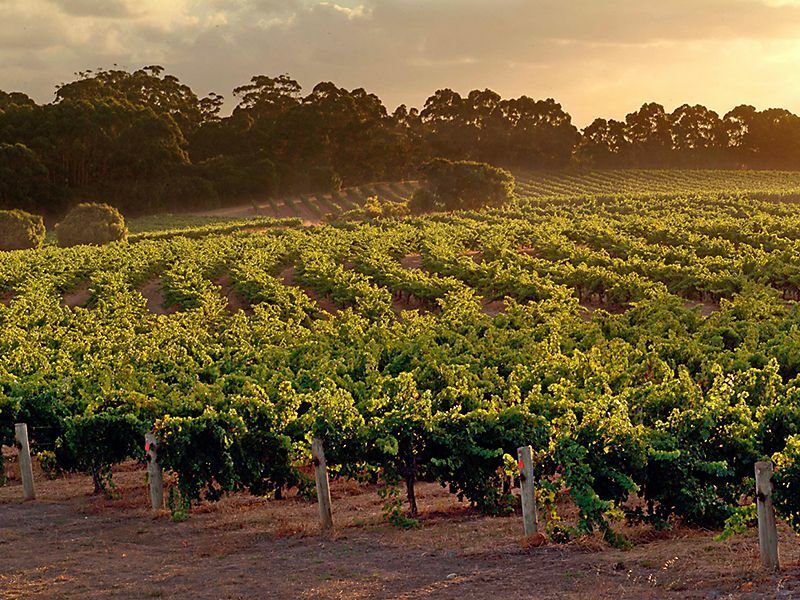 Margaret River only accounts for 3% of the wine produced in Australia, however produces some 20% of the Nation’s premium wines. There is no other industry like it – the people you meet and the places fine wine takes you! Recently a visitor from America arrived at the winery and introduced himself. He told us he was here to visit the winery because our agent in America was kind enough to provide him and his wine club ‘The Zodiac Club’ some of our aged ‘Art Series Chardonnay’. Penfold’s had also given him some aged Grange. The club he belonged to mostly drank French wine. He’d heard that the Aussies were making some pretty good wine and he picked our ‘Art Series Chardonnay’ and Penfolds Grange to show them. Many of the members initially turned their nose up at the Australian wines, but at the end of the dinner the Club President thanked him and said he had given them a lesson in broadening their wine horizon. He had dropped by to thank us personally for sending over our wines. We hope to meet up with him when we are in the US this year for Wine Spectators Wine Experience. There is a great deal to do if the district is to continue to succeed. We have our two eldest, Simone and Justin running the business these days and our youngest, Rebecca part time with her 3 young children, the fourth is in TV production. Being with our children and seeing their achievements is a great joy to Tricia and myself. Of all the industries I know, the wine industry has got to be the most friendly and co-operative of all – its great fun to be involved.